our Chairmans Award presentation went very smooth and the judges asked a lot of questions. Even though the interview and presentation was only supposed to last 10 minutes, the judges ended up keeping us for 17 minutes! That is a good thing! We also had a day long interview with a Star Tribune and are expecting a news article about our team in a week or two! 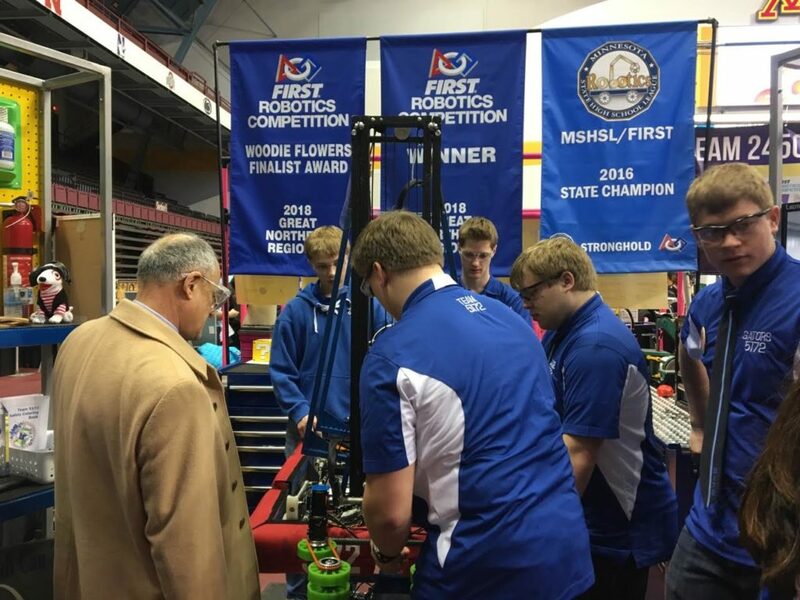 Our sponsor from U of M, Dean Kauve, also had a long chat with our team and was shown around the pits. He enjoyed himself very much and was impressed with us. The safety meeting was a success and even though there is stiff competition for the Safety Award, we are working our hardest to be safe at robotics. And now we get to the actual competition..
Our robot had a few technical errors (trouble connecting) for two of our matches and has been going between third and first place all day. We ended the day in second place with a record of 7-0 (wins-losses) and our team is ready for an even better day tomorrow, chomping up the competition!! 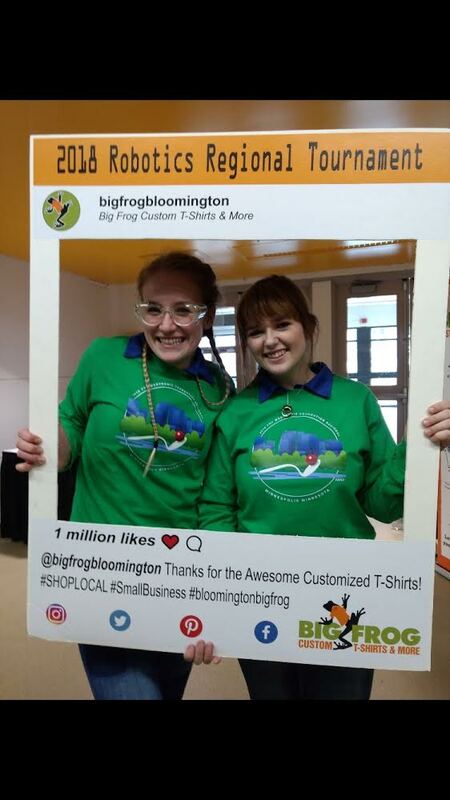 Aubrey Berg and Piper Sondreal sporting their new Medtronics Foundation Regional t-shirts. Some team members showing Dean Mos Kaveh, the Interim Dean of the University of Minnesota College of Science and Engineering, how Fezzick operates. Team members pictured include Ryan Hlucny, Robert Hlucny, Kyle Stauffenecker, John Langaas, and Thor Anderson. 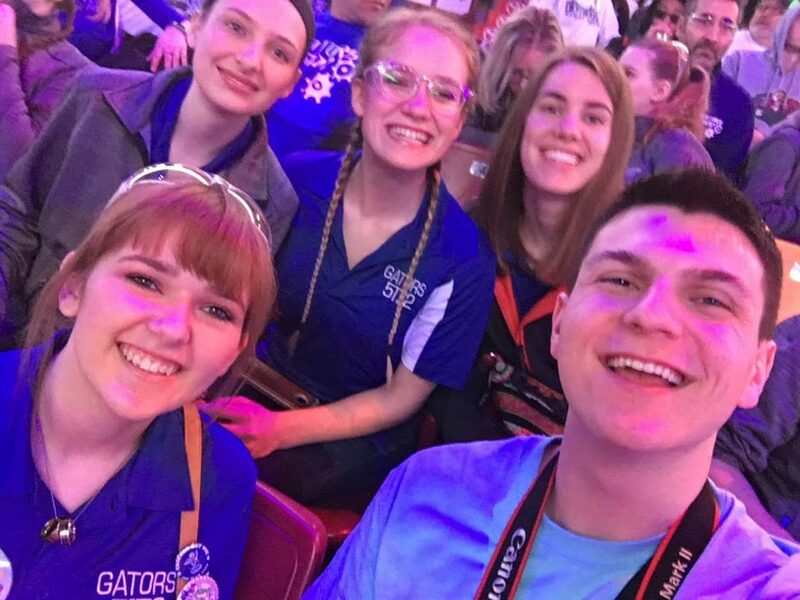 Sarah Stanelle, Aubrey Berg, Katie Langaas, Piper Sondreal, and Blake Dallager having a great time together.